Anyone that knows me can tell you my finger nails are rarely painted, or done. I guess I never made it to the girly stage in life lol. 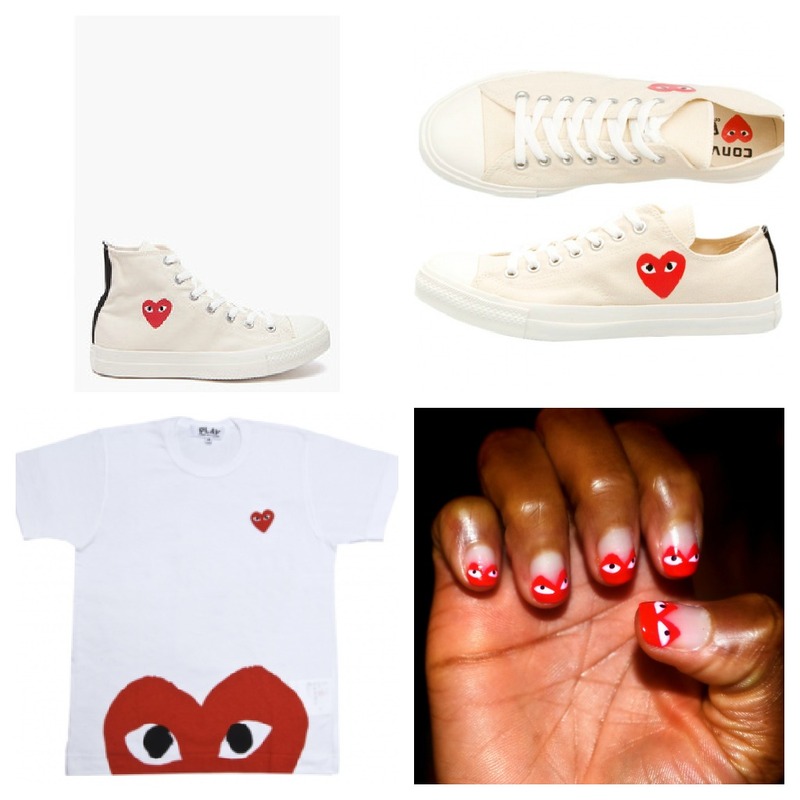 So I figured I would start my nail journey with one of my favorite labels…Comme des Garcons . I am not one to take myself too seriously, and that is why I went with this design. It is fun, and seems to make people chuckle, when they take notice of them ^_^. If you follow me on instagram, I am sure you have seen this collage on my page. Do we love this?